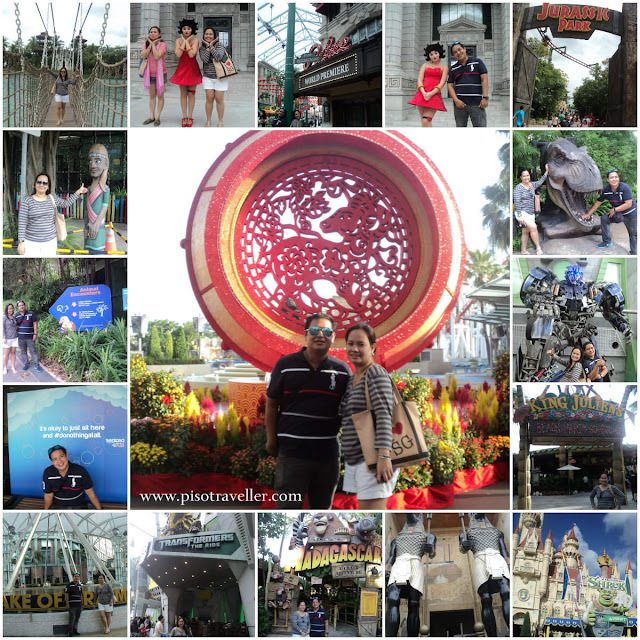 For our second day in Singapore, we woke up early to go to Sentosa Island and Universal Studios. Ticket to Sentosa Island costs SG$5 with one way skyride. We didn't buy any other tickets to other attractions as we already pre-paid our tickets to Universal Studios (SG$65). 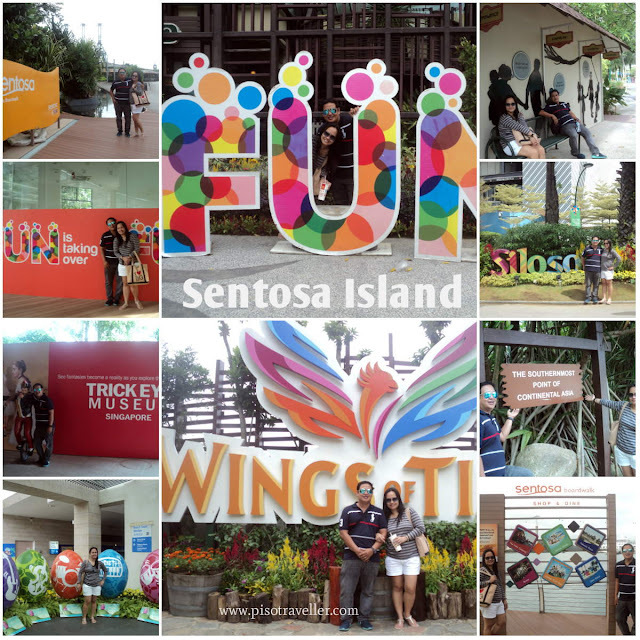 There was just too many things to do in Sentosa Island! We rode the free train from one area to the next. We went to the 'Southernmost point of Continental Asia" located at Palawan Beach. There were so many attractions, from Imbiah Lookout to Siloso Point, the beaches and Resorts World Sentosa! 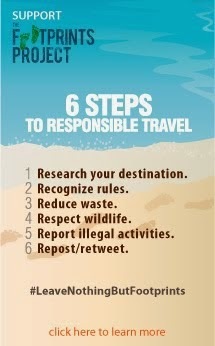 Too bad we only have half the day to roam Sentosa since we have tickets to Unoversal Studios. We had such a great time in Universal Studios despite the two main attractions being closed that day (The Mummy and Battlestar). We enjoyed the rides and photo stops! We were like kids again, hahaha! 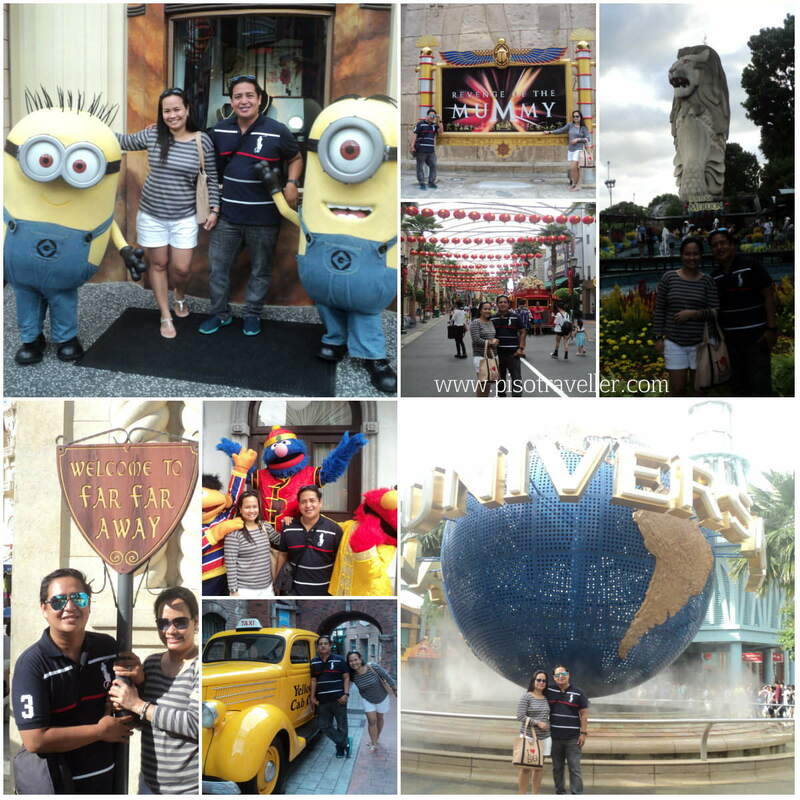 There were just too many things to do and see at Sentosa/Universal Studios. We left at 7pm, exhausted but happy but stil found time to go to the night market at Bugis for some pasalubong shopping!